Sun Street Radio Millennium party. Do You remember this muzic? 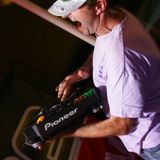 Hi, I m Crazy Martin , I m playing style with show elements witch made it with my body back2back with my 90"s USSR tape player and CDJ2000. Sometimes I put my records on my record players - RELOOP RP 6000 MK5 and feeling Power of Vinyl!